Landscape Care that respects the environment and those who play in it. 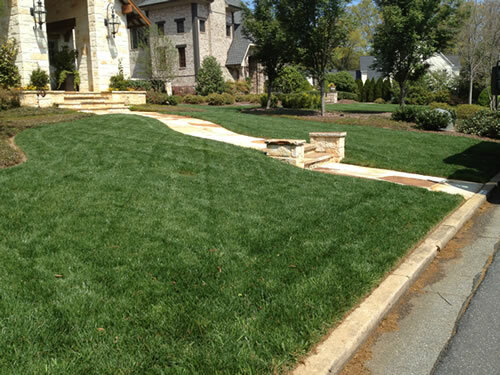 Our cool season lawn care is specifically designed for fescue, bluegrass and other cool season grasses. This seven-step Lawn Care Program utilizes both liquid and granular applications to maintain healthy, weed free turf grass. Our first lawn care visit promotes early spring green-up and weed control. This application consists of a complete balanced lawn fertilizer, pre-emergent crabgrass control, and broadleaf weed control. The second lawn care visit will improve the color and thickness of your lawn. This application consists of a complete balanced lawn fertilizer, booster pre-emergent crabgrass control, and broadleaf weed control. Our third treatment contains slow release lawn fertilizer and post-emerge weed control. 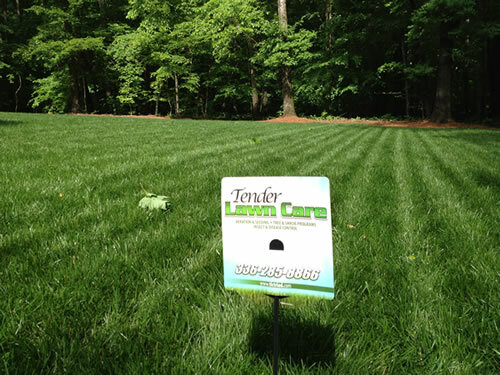 This lawn care application maintains color throughout the summer and provides consistent growth of cool season grasses. This lawn care application consists of a lime application as well as additional weed control. Lime is critical to improve soil condition as well as balance acidity. Early fall lawn fertilization will improve damage from summer stresses and encourage greening and thickening. Fall lawn fertilization continues to thicken the lawn, strengthen root development and promote seed development. This application protects your lawn for winter and strengthens it for a greener, stronger lawn next year. Fertilizing your lawn protects your grass for winter and strengthens it for a greener, stronger lawn next year.